Happy 150th birthday, Watsonville, and congratulations on the building of a great successful community over all these years. 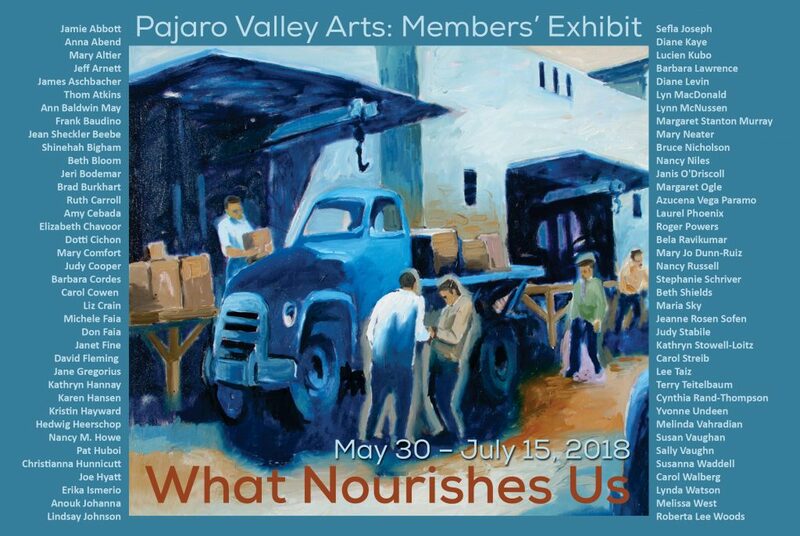 Members of Pajaro Valley Arts join in the sesquicentennial celebration with this exhibition, What Nourishes Us, exploring the idea of how our community nourishes our bodies, our souls, our imaginations and our arts. Using a wide variety of mediums, artists from Santa Cruz County and beyond share their interpretations on what nourishes them from this community and from their lives in general.